When Neeru Bajwa moved from Vancouver to Mumbai, all she was interested in was to realize her early passion of making it big in the glamour world. And she did that with her maiden movie, a Dev Anand film, ‘Main Solah Baras Ki’. However, her Punjabi roots soon found their real ground as Neeru after couple of television and Bollywood stints made her way to Punjabi cinema with the Manmohan Singh film, ‘Asa Nu Maan Watna Da: In Search of Our Roots’. Her oozing charisma, cute looks and charming persona on screen soon made Neeru the favourite actress of Punjabi cinema. She wrote history with the rom-com franchise, ‘Jatt & Juliet’ and its sequel ‘Jatt & Juliet 2’ that broke all box office records of Punjabi cinema. The latter became the highest grossing Punjabi film of all times, breaking the record of its predecessor and holding it till date. Know some unknown facts about Neeru Bajwa, her personal life and career. Before you call her Neeru once again, here’s something that you need to know. She was born as Arshvir Kaur Bajwa on August 26, 1980 in Vancouver, Canada. A Canadian-born Punjabi girl, Neeru comes from a middle class family but had lofty ambitions. Since an early age, Neeru was smitten by the glamour and charm of film industry and wanted to making acting her profession. Such was the influence of the world of films that she had little interest in studies. An anecdote from her childhood years reveals that while her mom would drop her off at the school gate, Neeru would flee from the back gate and run to the nearby mall, where she would watch movies. She participated in the beauty contest, Miss India Canada pageant, where she ended as a runner-up. Just an average student, Neeru dropped out of high school to pursue acting as her full time profession. 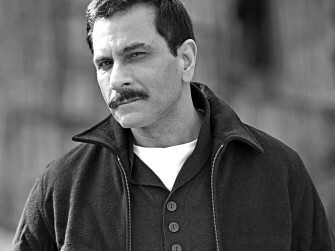 The passion for acting brought young Neeru to the land of Bollywood, India. Such was her deep-seated desire to light up the big screen with her acting talent that Neeru soon started working towards achieving it. Though hard work pays, you need to be lucky as well to get an early break. And must say Neeru was a lucky girl. She got her first break in Dev Anand’s film ‘Main Solah Baras Ki’ in 1998. Neeru’s next project was a documentary film ‘Bollywood Bound’ wherein she starred as herself. In the film, she admitted of being a high school dropout who aspired to be the part of Hindi film industry since young. Neeru appeared in her first Punjabi video in 2003 for singer Kamal Heer for the song ‘Kainthe Wala’. 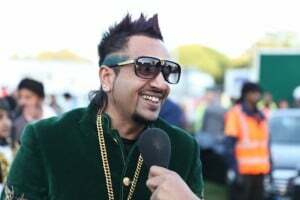 She went on to do several other Punjabi videos for different artists like ‘Hey Soniye’ with Silinder Pardesi, and others with Juggy D and Rishi Rich. She also appeared in the famous music video ‘Hum Kis Gali Ja Rahay Hain’ sung by the super talented Pakistani singer Atif Aslam. After her short stint in Bollywood, Neeru turned to small screen. She starred in the 2003 soap opera ‘Hari Mirchi Lal Mirchi’ on DD1 before moving to Zee TV’s ‘Astitva…Ek Prem Kahani’, where she played the role of protagonist Abhi’s second wife, Kiran. She followed this with the TV series, ‘Jeet’ on Star Plus after which she starred in the Star One series, ‘Guns and Roses’ on Star One. She has also guest appeared in the popular television series CID as fiancé of ACP Ajatshatru. Neeru, along with her then love partner Amit Sadh, contested in the reality show, Nach Baliye Season 6. There was no doubt about the fact that Neeru was a talented artist. Her Punjabi connection gave her an upper hand and made her an obvious choice as the leading lady of Punjabi cinema. In 2004, she made her debut in Punjabi film industry, with the Harbhajan Mann & Kimmi Verma starrer ‘Asa Nu Maan Watna Da: In Search of Our Roots’. Directed by Manmohan Singh, the film opened a new gateway for Neeru. Following her maiden Punjabi venture, Neeru Bajwa starred in a string of Punjabi movies including, ‘Dil Apna Punjabi’, ‘Munde U.K. De’, ‘Heer Ranjha’, ‘Mel Karade Rabba’, ‘Akh Labdi’, ‘Jihne Mera Dil Luteya’, ‘Miley Naa Miley Hum’, ‘Pata Nahi Rabb Kehdeyan Rangan Ch Raazi’ and so on. By then, she had become the top female actor of Punjabi cinema. In 2012, Neeru struck gold with the film, ‘Jatt and Juliet’. It went on to become the highest grossing film in Punjabi cinema at that time. The film had her play the character of Pooja opposite Diljit Dosanjh who was playing Fateh Singh. The phenomenal success of ‘Jatt & Juliet’ made the already popular Neeru Bajwa a renowned face of Punjabi cinema. She became a household name in Punjab and was noted for her talented performance and acting. If ‘Jatt & Juliet’ was a super hit, its sequel, ‘Jatt & Juliet 2’ released in 2013 was probably the big daddy of all hits. It broke all records set by its predecessor and any other Punjabi film to become the highest grossing Punjabi flick ever, a record that it holds till date. A rom-com, the film was lauded for its belly-hurting comedy and quirky playfulness. Neeru excelled in her role of Pooja, an officer of the Vancouver Police Department. Between the overwhelming success of the ‘Jatt & Juliet’ franchise, she did ‘Pinky Moge Wali’ and as seen in a special role as Taniya in ‘Saadi Love Story’. She also made a cameo appearance in a song for the Akshay Kumar-Anupam Kher starrer Hindi film, ‘Special Chabbis’. In August 2013, her film, ‘Naughty Jatts’ was released, in which she featured along with Binnu Dhillon, Arya Babbar and Roshan Prince. The movie opened to mixed reviews. She ended the year with ‘R.S.V.P’. Year 2014 witnessed three releases of Neeru Bajwa, starting with ‘Dil Vil Pyaar Vyaar’. She next starred in ‘Aa Gaye Munde U.K. De’ as Disha Dhillion before ending the year in style with the film, ‘Proper Patola’ wherein she played a double role of Preeti/Jeeti. Neeru wrapped the year 2015 with the hit film ‘Sardaar Ji’. As of September 2016, ‘Channo Kamli Yaar Di’ in which she played the titular role of Channo is the only release by Neeru in the year 2016. Her upcoming projects include ‘Jindua’. In between her super successful Punjabi film career, Neeru did try her hand at Bollywood, appearing in the 2010 action-thriller, ‘Prince’ as Prince’s love interest. Same year, she also gave a supporting performance in the Bollywood horror flick, ‘Phoonk 2’. However, her wish to make a mark in Bollywood was not very successful. Neeru Bajwa married Harmikpal Jawandha, a businessman from Canada in a private ceremony on February 8, 2015. However, before marrying Jawandha, she was in a relationship with the actor Amit Sadh. The two were in a live-in relationship and also starred in a reality television dance show, ‘Nach Baliye Season 6’. 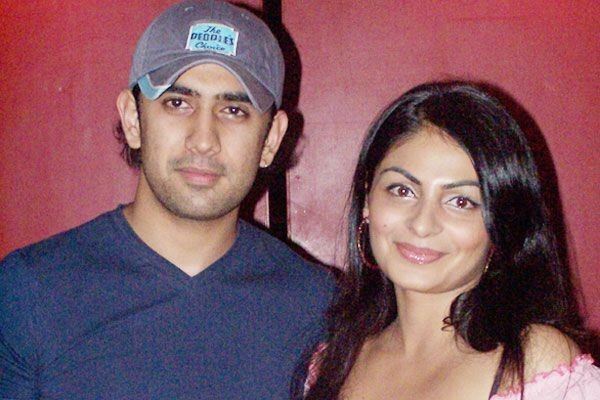 Neeru is said to have broken up with Amit Sadh while the latter was in the reality show Bigg Boss in 2010. The news left him heartbroken and dejected as Neeru was the most important person in his life. The two separated after eight years of being in a relationship. Coming back to her newly married life, if reports are to be believed, Neeru is pregnant with her first child with Jawadha. On the work front, the couple has started a production house called Vanmysteryman and Neeru Bajwa Productions. ‘Tere Bina’ would reportedly be the first film from the Neeru-Jawandha banner.